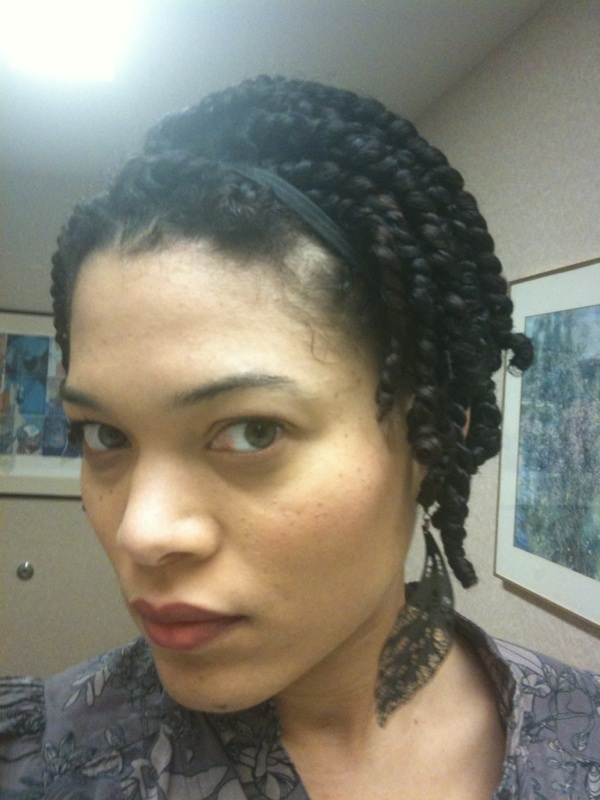 I did double strand twists with the Kiss My Face/castor mix! And they too, are silky and shiny. I did them on wet hair, with no parts. There are about 32-36 of them, but they are so tight and shrank so much that my hair is gone. Thus- I hate them. But everyone else loves them. I was going to do the twist-out yesterday, as soon as it dried but my BF wanted me to leave them in so I did and came to work and all my co-workers swooned. Yes, I even let someone touch one lol. So I am wearing them again today and took pictures. 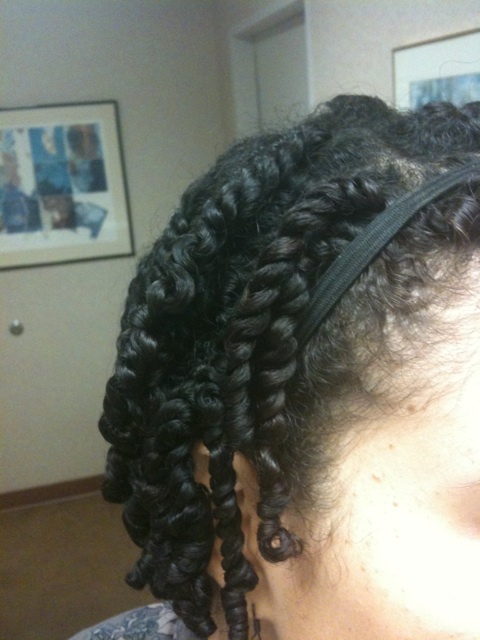 I'll probably unravel them for the twist out tomorrow. I think I will need to do a lot of separating to get the volume I like back. But I think the definition will be divine! Co-wash with V05 Kiwi Lime. 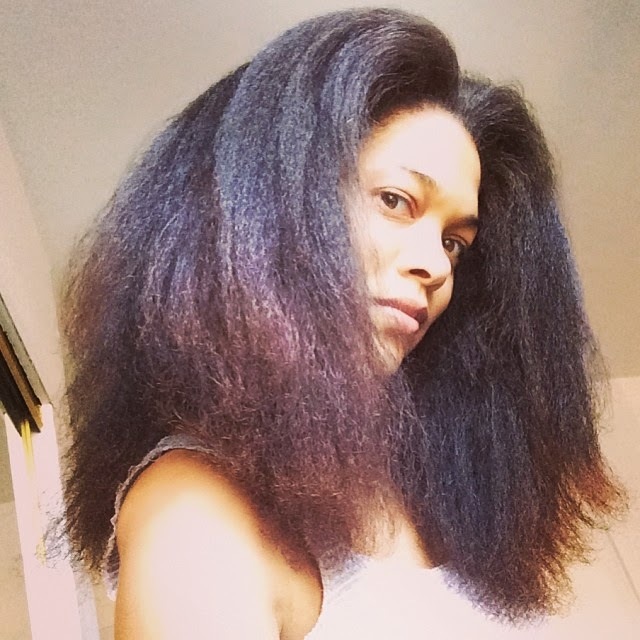 Detangle with Renpure conditioner, widetooth comb and then my denman. Added honey and let it sit for 20 min before rinsing. 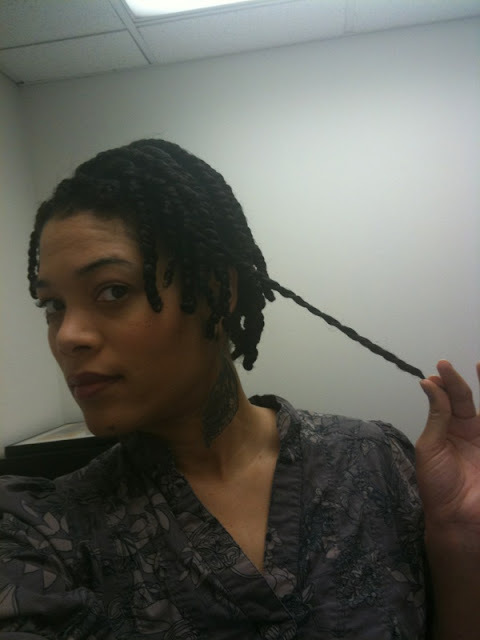 Began grabbing wet hair in sections and adding Castor/KMF root to tip as I twisted. 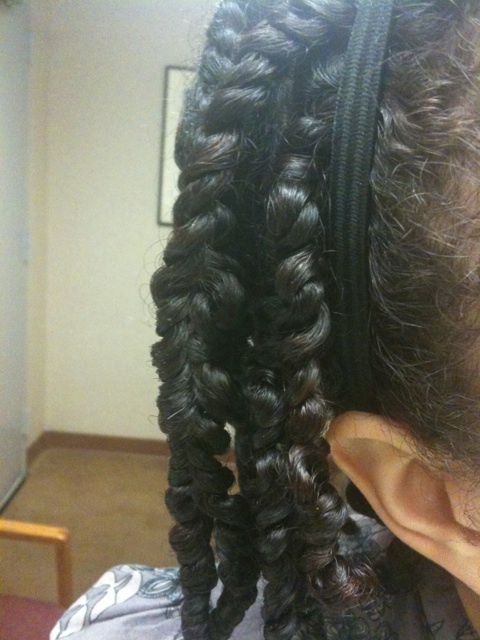 The actual twisting process took about 1.5 hours and I was taking my sweet time. I had to spritz a few sections that had began to dry out. I probably could have finished in 40 minutes if I was really just going at it. Ta-da! and stay tuned for the twist out picts. AMAZING. I just love them. so shiny!!! they are so pretty. Have u eve tried 3 strand twist? 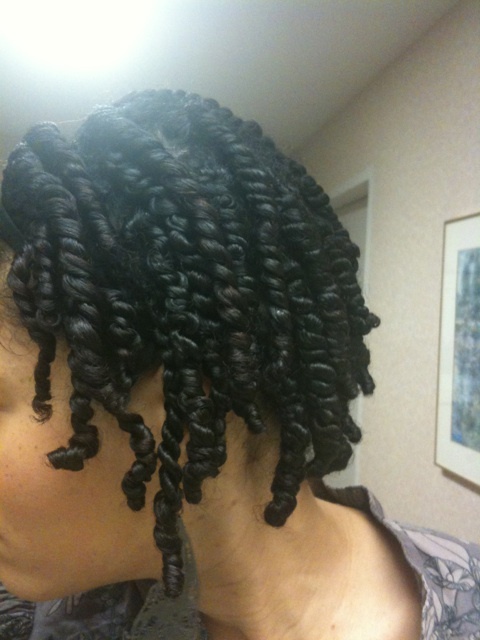 They do not shrink up as much as two strands and they are fuller. Wow! 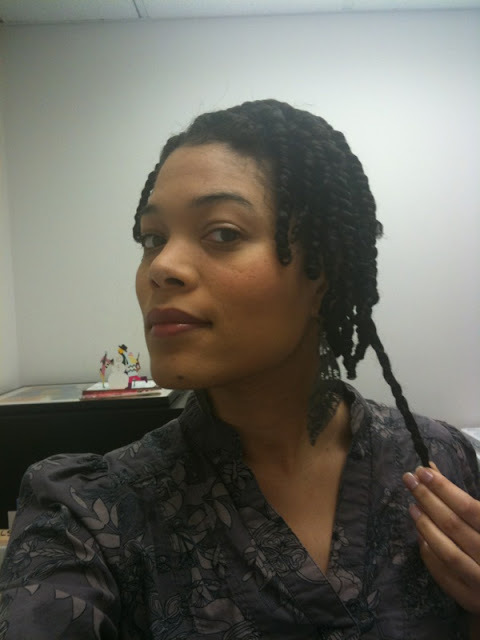 Your twists are looking fabulous and very well moisturized/conditioned. And they say black hair is dull, hmph! Not looking at this picture! Love it! I just found this gel for sale at a local health food store. I have been trying to experiment with it a little. Thanks for the tip! I would like to see how you fluff. I hate two strands for exactly the reason you stated above. Well I hate wet two strand twists because it seems I can never get the parts out and it normally ends up looking like my regular wash n go, or I frizz all to heck because I can't get it fluffy enough.